A miracle going to school. 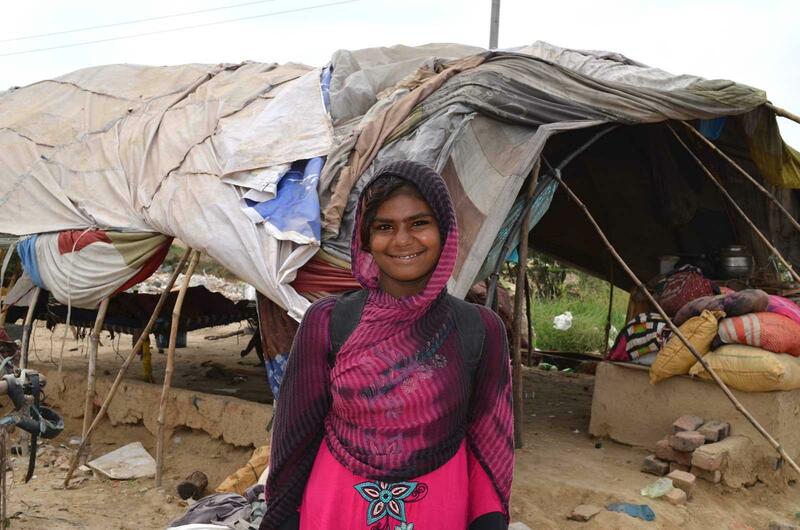 Sidra, 12, has learned about the rights of the child through the World’s Children’s Prize Program. Now she wants to be part of the No Litter Generation and collect litter on No Litter Day on 16 May and teach others why they should stop littering! Sidra says: “We are born in these tents and will finish our life journey in these tents. All members of my family collect garbage seven days a week. We sell it to vendors and buy food with the money. Visit Sidra in 360 VR! Use the arrows to move round the image. You can also watch in full screen and use VR glasses for maximum effect! One day when I woke up my father told me: ‘You are not going to pick litter today but going to school.’ This was a miracle! I never thought about school even in my dreams. I was so happy. This had not happened before in my family. “One thing hurt me. Other students made fun of me because I was what people call a Khan Badosh (nomad) girl. I don’t know why people hate us. We are just like them! But my passion for education helped me tolerate it and later I made friends at school. Visit Sidra’s school in 360 VR! “When I started going to school others also started sending their children to school. Through education I can get respect in society. I work hard to get an education and become a social worker, so that I can fight for the rights of our people. “I learnt that all children have rights. It was a wonderful experience. But here adults need to be educated so that they start respecting girls’ rights. “After school I always go litter and rubbish picking. When we collect garbage other people treat us like we are not human. And the vendors often cheat when they are weighing our litter. 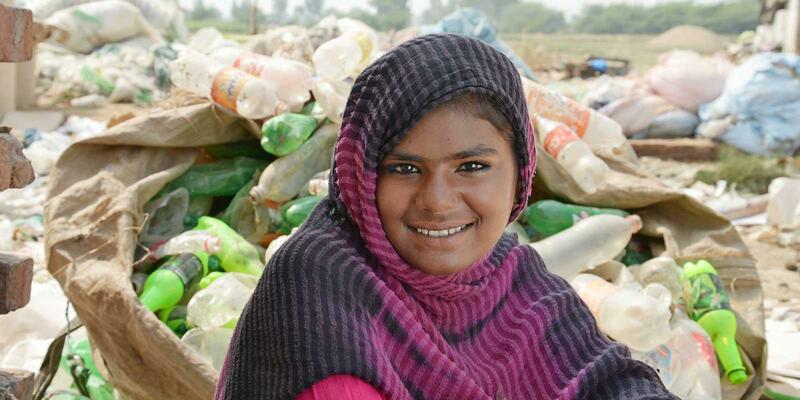 Sidra and her friends will sell the litter that they pick during No Litter Day to vendors. The money will be used for their school costs. Every afternoon when she gets home from school Nisha makes bricks. 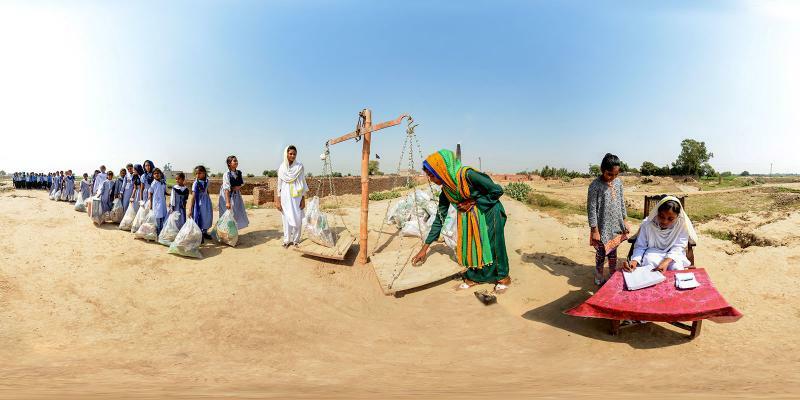 Visit Sidra and Nisha, 12 years old, and their No Litter Day in Pakistan, with the help of Virtual Reality. 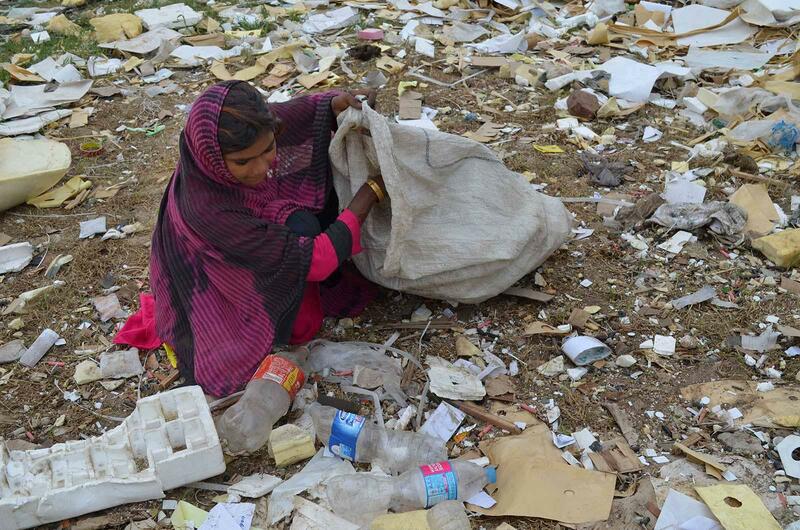 In Pakistan thousands of children are part of the No Litter Generation and celebrate No Litter Day.